The Tension Tester TZL is measuring tensions of forces for example tension of a crane weigher. The tension tester is built of a casing with an integrated LCD Display. Thanks to its variety this tension tester is universally suitable. We offer shackles and hooks as a direct possibility to fix the load. Of course you are able to combine both, shackle and hook. 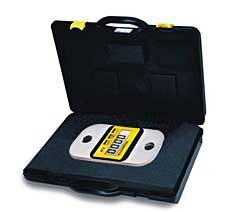 The tension tester is equipped with a really good LCD display. It shows optionally, gross values or clear values of the current load or the maximum value. The Tara function (zero points of display) is possible during the whole weighting range. 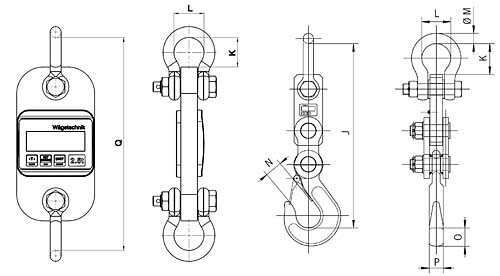 Please notice, that the maximum weight of the Tension Tester TZL may not be exceeded. If there are any questions about these products, please contact us: UK customers +44(0) 23 809 870 30 / US customers +1-410-387-7703. 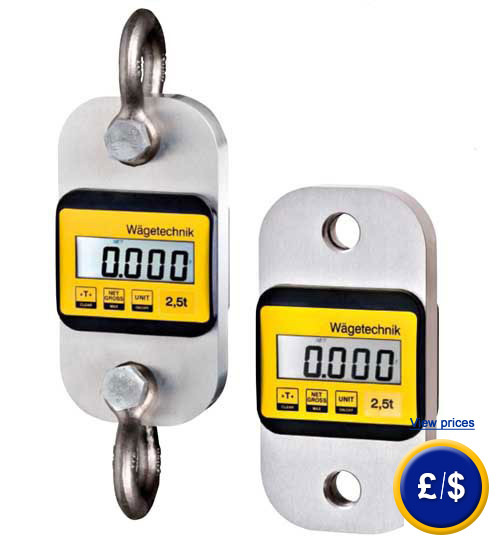 An overview of all tension tester can be found here: force gauges. Our technicians and engineers will be happy to help you with this force gauge and all other products in the field of measuring instruments, regulation and control and scales. Delivery of Tension Tester TZL will be carried out without shackles and hooks.